Here is a great period photograph sent in by Andy. 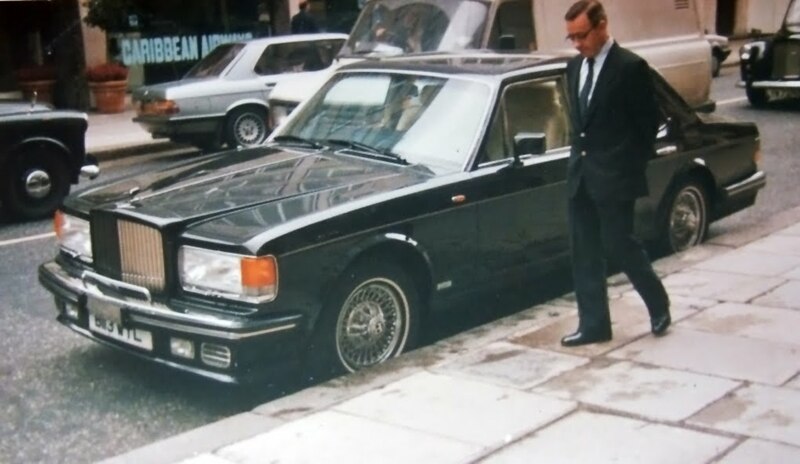 It was taken in 1985, and the car, a Bentley Mulsanne with Hooper enhancements. Take a look at the Hooper wheels and front spoiler with additional lights. The bumper bars are also colour matched as well. The badge bar is added, along with chrome inserts under the headlights. Nice. I'm sure the interior had plenty of things done to it as well! Thanks Andy for the photo.